-Call REFL first, before you call a Real Estate Company (e.g., an Independent Broker, C-21, Remax, etc. ), and REFL will make the necessary arrangements to market your home. 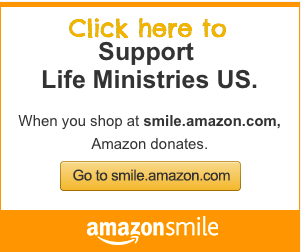 -One phone call to REFL and you will be supporting pro-life efforts. -With that one call, REFL donates money already being spent on the services of a professional broker. Contact Real Estate For Life Today and mention that you would like to help support Pro-Life Missionaries Bud and Tara Shaver, Pro-Life Witness It’s as simple as that! Last month Pro-Life Leaders from all across the country stood in solidarity, which included prayer and protest, in Washington D.C. urging Congress to ‪#‎FreeTheBan‬ and pass of the Pain Capable Unborn Child Protection Act.